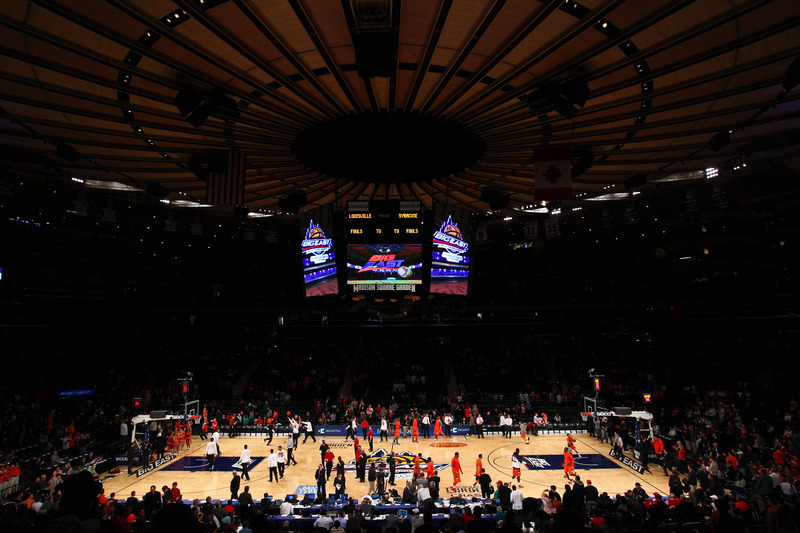 Marquette heads to Madison Square Garden for a matchup with the St. John’s Red Storm Wednesday night. Both squads are coming off some of the toughest losses of their seasons. Marquette was a missed bunny by Luke Fischer away from knocking off Xavier in Cincinnati. The Red Storm led Depaul for virtually the entire game before falling in overtime. St. John’s started the season strong, going 11-1 in non-conference play. But conference play has been a nightmare for them, starting off 1-4. The slow start has dropped them way out of the top 25. They will need start winning soon if they want to find their way back to the postseason. The Game Plan: Both teams will be using 8 man rotations. The difference between the two is that the Red Storm limit themselves to 8 men by choice. St. John’s roster stretches on forever and a day but only 13 have ever seen playing time and no more than 8 have been played in 4/5 conference games. The eight players Lavin usually rolls with make up a roster that looks remarkably similar to Marquette’s. The starters feature three guards without a primary ball handler, an undersized power forward, and one almost 7 footer whose defense is way ahead of his offense. Both teams struggle with outside shooting (.323 3P v. .345 3P) and rank tops in the Big East in steals. On offense, the Red Storm focus on slashing the hoop, which they are very good at. D’Angelo Harrison is second only to Providence’s LaDontae Henton in scoring in the Big East. He has the ability to get to the rim at will…especially with the big body of Chris Obekpa clearing out space. With only two legitimate three point threats against them (Harrison and Phil Greene IV), Marquette can afford to pack the lane to deny Harrison any room to slash and the bigs any room to operate. Expect Marquette to throw a lot of 2-3 and 1-3-1 zones against the St. John’s offense. Both Marquette and St. John’s feature two of the top defenses in the Big East. Whereas Marquette slows opponents down, SJU is happy to run with the other team. Both defenses feature guards that are great at picking pockets, but the Red Storm are also tops in the Beast in shot swatting. Between Obpeka, Sir’Dominic Pointer, and the rest of the squad, St. John’s averages 7 blocks per game. Despite this, Marquette should attempt to run right at the Red Storm bigs. Both Pointer and Obekpa average over three fouls a game and have been even more foul prone in conference play. Pointer has fouled out of three Big East games and Obekpa has ended up with 4 or more fouls in every conference game. Launching threes in order to avoid Obeka and Pointer is tempting but an aggressive attack is the key to winning. Best Case: Marquette’s zone allows Harrison and Greene to launch a lot of threes…that clank off the rim. Aggressive rebounding from Fischer, Juan, and Steve keeps Obekpa and Pointer from too many easy putbacks. Johnson makes a triumphant return to the lineup by picking off three different Rysheed Jordan passes. Marquette hits enough three pointers to keep the defense extended, leaving Obekpa stranded under the basket. Marquette’s slashers aim straight for the lone center in Lavin’s rotation and quickly pile three first half fouls on him. St. John’s makes a small run in the second half but Marquette still pulls out with the 6 point victory. Worst Nightmare: Harrison, Greene, and even Jordan are making their threes. Wojo extends the defense to compensate, which allows Pointer and Obekpa to wreak havoc in the paint. After hitting a few threes early, Marquette falls in love with its outside jumper to disastrous result. SJU packs the lane and all of MU’s missed threes are as good as turnovers. Any attempts to drive to the hoop are sent back airmail, special delivery by either Obekpa or Pointer. SJU ends up with a 10 point home court victory. Johnson sits for the second straight game and sends the MU rumor mill into overdrive.